Have an image or slogan? Order a Rat Day T-Shirt! To one rat, you are the world. My boyfriend must love my rat before he can even like me. I have replaced my backpack with a ratpack. Rats are friends, not enemies. My rat is the only friend that never walks away from me. Ratz make the world go round. Who could ask for more than the love of a rat? Pet Rats...the world's�BEST kept secret. Hug a Rat you'll feel better! Once you go rat, you never go back! Rats make the world go 'round. A long, thick tail is a useful tool! Rattis maik de werl go arund. Want a really gRATifying pet? 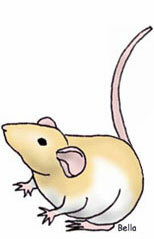 "Rats / no longer born wild"
"Fancy rats Rock" / "Pet rats Rock"
"Rats / The intelligent person's pet." "Rats / Pets of the future"
"Changing the face of history"
I've hugged my rats today! if only there were more cheese! My kid is covered in fur and eats�lab blocks! It's hard to be humble when you have pet rats! A day without my rat, is a day without my best friend. There's no love like a ratty love. A Rat A Day Keeps Bad People Away!! Can you honestly say, hand on heart, that you've never wondered what it would be like to spend a day in the cage with your rats? Rata tat tat get a Rapster Rat!! Love a rat, love for life. Rats are friends, not food! Get a Rat. They're great to come home to! "Not dog, not cat, just RAT"
"Make a friend. Buy a rat." "Rats: today the world--tomorrow the stars"
a Whole Bunch of Happy Rats! YOU JUST MIGHT BE PLEASANTLY SURPRIZED"
"Cuddle a Rat its a WONDERFUL Experience"
"Great People Are OWNED by RATS"
All we are saying is gives rats a chance! 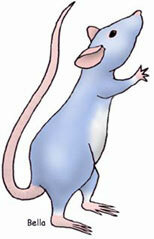 WORLD RAT DAY - APRIL 4 - Celeb-RAT-e!